Are you prepared to shell out $75,000 for a file server environment that needs to be replaced in three years? In our last article, we examined all the things to consider when deploying and maintaining a file server. The challenges run from managing storage, software and the network connections, to a plethora of logistical issues. Anyone purchasing a server quickly finds out the costs go way beyond just hard drives and the server racks. Aside from the time and energy file servers require for managing the storage of user content, another key consideration is the total cost of purchasing, deploying and maintaining them. Some of the expenses are clearly measurable. But the hidden, lost-opportunity costs of diverting your internal resources from other tasks can be even greater. And when you add all of the hard and the soft costs together, the total price tag far exceeds the value, which means you’re throwing money out the window. 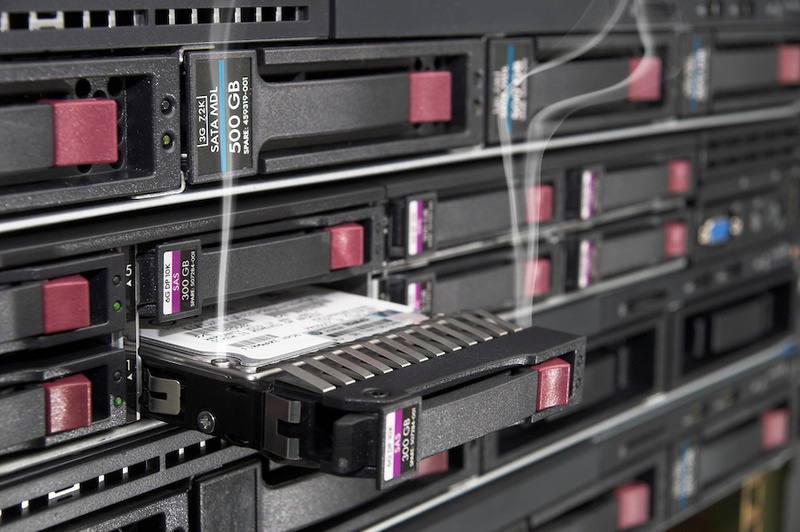 If you don’t have an unlimited budget, on-premises file servers are not a good solution. Purchasing a server is a complicated process that requires your IT and procurement teams to invest time, as well as money, to make sure they identify the right kind of file server and then evaluate the providers to find the most cost-effective solution. IT also needs to plan for the future. Will the amount of storage support your projected growth so you don’t have to buy new volumes every year? Working with vendors can be challenging too. Can you trust that they’ll act with your best interests in mind? Or what if they don’t quite have exactly what you need? Will you be forced to compromise? It can be difficult to determine which vendor offers the highest quality at a cost-effective price that also meets your unique requirements. With capabilities and pricing varying widely, it can also be confusing to compare one server approach to another. The figures above represent the costs usually associated with a file server build-out and are typically seen as expensive but feasible because many people think the numbers represent the total cost. But, unfortunately, the costs continue to pile up from here. The wide range of cost scenarios illustrates how complicated it can be to weigh all of the options and then compare and contrast. The tables that appear at the end of this article further demonstrate the complexity of evaluating the costs of your different options. The time to understand the different scenarios is a cost in itself! In addition to the hard costs of the server hardware and software, it’s also important to consider the amount of time your resources spend to make it all happen including the administration involved with procurement, coordination of the shipping, and the logistics for installing the server. Those are the soft costs that are a lot more difficult to plan for and manage. After the server is deployed, the next set of costs to consider is associated with IT maintaining the file servers. The team will be consumed with on-going hardware and software maintenance, along with putting out fires when a server goes down or a user can’t gain access. These incidents can require around-the-clock support, representing costly operational expenses. While an IT team consists of internal resources that won’t require additional pay to assume the file server responsibilities, these valuable experts will be dedicating less time to strategic planning for new technology deployments that will generate revenue, improve efficiencies and attract new customers. Operational costs can also soar when a disaster strikes the data center or a cybercriminal breaches the network. In today’s cybercriminal environment, file servers are extremely likely to be breached at one point or another—perhaps even by an insider attack. You might have to pull your entire IT team off another project to bring the company back online and make sure your digital assets are safe. Servers that go down or become unavailable due to a breach also impact revenue from a lost productivity standpoint. If end users can’t access the information they need in the file servers, they can’t perform most, if not all, of their job functions. Going beyond operational costs, the upfront price tag to harden a file server and create a sufficient security posture is high. From here, the costs can only go up. If the security solution fails, the cost of a breach can run into the millions depending on the sensitivity of the files accessed. In some cases, the business may need to hire security consultants for incident remediation, as well as potentially reimburse customers for any financial losses they incurred, and also be subject to regulatory fines. Costs like these are difficult to project, but they can be damaging enough that every business should try to avoid them. As if the hard costs and potential security expenses aren’t enough to contend with, there are still more post-deployment server costs that can keep going up. Servers add to the strain on your networking gear, so you may need to upgrade routers, switches and fiber cabling to accommodate the additional network traffic. The IT team also has to manage each server’s Active Directory and Directory Name Service, as well as any virtual private networks that access the server. Given the high-level technical resources typically required to handle these functions, your internal resource costs are high. The data center that houses the servers further adds to the cost, needing electricity for power and cooling along with air conditioning units that can run from $300 to $1200, and server cabinets that cost anywhere from $500 to $1500. For physical data center security, you likely need a keycard door costing $250 and a security camera, which at a minimum costs $150. If your data center is located in an earthquake or flood zone, the measures you have to take in order to safeguard your servers can quickly get out of hand from an expense standpoint. And don’t forget to factor in the cost of a backup solution for the server hardware and software, which will generally run just as high as the primary hardware and software. Even if you use a cloud-based solution or co-location site for back-up, the costs will be about $600 to $1000 per year. If the costs of deploying and maintaining a file server as presented above are simply too high for providing such a feature lacking end-user experience. You can reduce your expenses significantly by migrating your file servers to a cloud collaboration platform. Not only will you save money on cumbersome on-premises infrastructure, your users will benefit from the collaboration features of these platforms, and your IT team can centrally manage storage in the cloud. Cloud providers manage all the daily tasks and responsibilities of making sure their servers function properly while also providing hardware and software expertise to optimize performance. Cloud providers also offer expertise in security and compliance so that data will be just as safe, if not safer, than if stored on premises. They maintain a backup infrastructure that automatically fails your server over to a working server in the event of a disaster. This assures your end users can continue to work uninterrupted. By partnering with a collaboration platform provider, your internal team can then shift its focus to strategic initiatives that help the business run more efficiently. Your IT resources thus become revenue generators and cost reducers—rather than just an overhead expense.